Chiang Mai is amazing! Read our tips below or visit our Thailand page for more info on other vacation ideas in this amazing country! The best things to do in Chiang Mai with kids involve the local Thai culture. Learn about the animals with a visit to an elephant rehabilitation organization . Toddlers will love a visit to the Chiang Mai Zoo. Older kids will love seeing the wild animals at the night safari. Teenagers will have a blast zip lining in the Thai rain forest. 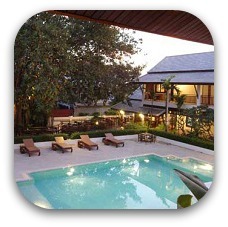 Chiang Mai is a lovely city located in Northern Thailand. Your family will enjoy exploring this town. Don't miss out on a visit to the old city to explore the many temples. Cultural Activities + Word Searches + Coloring Pages + Fun Travel Quizzes & More! Patara Elephant Farm is one of the best things to do in Chiang Mai with kids. This unique program gives you one on one experience with an elephant. Your kids will love learning how to take care of the elephant, bathe it and feed it! Ages 6 and up. Elephant Nature Park is another fun Chiang Mai activity for kids. Spend the day at the nature park and learn how these magnificent creatures are rehabilitated. Join in with feeding and bathing an elephant. Great for children of all ages. Must be booked in advance. Join a cooking class to learn how to make the delicious Thai food with your kids. (read more about Thai food here) Popular dishes are spring rolls, pad thai, and curry dishes. The best part is when you are done cooking you get to eat the feast you have created. We try to take our kids to a cooking class on all our trips as it is so much fun and the kids learn a lot! Take a bike tour with Chiang Mai Biking. They offer private tours for families and have child seats for babies and toddlers. They also offer kids bikes. This is a great way to see life in Chiang Mai. Kids will the visit to the candy factory on this tour! Zip line through the Thailand rain forest. Your kids will love zip lining across 3 km. There is also a trek to a waterfall included. Kids ages 5 and above can join in the fun. Teenagers will love this fun Chiang Mai attraction. Get your daughters nails painted at one of the many Thai spas. Or enjoy a facial together. Lots of cheap options for a day of pampering with your kids. Head to Dokmai Gardens where you can have a guided tour of these beautiful gardens. The kids will learn all about the local vegetation including plants, flowers, trees, herbs, fruits and vegetables. The Sunday Market is huge! This bustling place is a great place to shop with the kids. Lots of clothes, jewelry, art and souvenirs. There are many options for eating as well. This lively market also has music and dancing. It is held in the evening. Some of the best deals are here! Hire a tuk tuk for a tour of Chiang Mai. The kids will enjoy riding in this unique transportation. Be sure to agree on a price and route with the driver before setting off. Don't miss out on sampling the delicious Thailand food. It is one of Thailand's most popular things to do. The tasty chicken and cashew, spring rolls and curries are sure to be a hit with the kids. Try a cooking class and learn to make yummy spring rolls! Take a stroll around the old city or moat area. There are loads of temples to explore. The kids will enjoy seeing the interesting Thai architecture. Stop for a drink at one of the lovely cafes along the way for some people watching. Your whole family will enjoy a Mae Ping River Cruise where you can see life on the river in Thailand. This relaxing cruise takes you to a Thai farm where you can enjoy some tasty treats. Head to Bo Sang Umbrella Village where you children can enjoy learning how the beautiful Thai umbrellas are made. If you are traveling during the 3rd week of January you can experience the umbrella festival. There is also a paper village and a silk weaving center. The villages are located outside of Chiang Mai in the pretty countryside. Visit one of the hill tribe villages. Your kids will enjoy getting a glimpse of life in one of these fascinating villages. You can see many handicrafts being made here and you can purchase them as well. There are several tour companies offering this. Head to the The Monkey Centre where the kids can have fun watching the monkey show. You can watch as the monkeys ride a bike, play basketball and pick coconuts. Your children can even hold and feed one! One of the best things to do in Chiang Mai with the kids in the evenings is to head to the Night market. The kids can practice their bargaining skills as they negotiate for some Thai souvenirs to bring home. Tiger Kingdom offers you the chance to enter the cages of the baby tigers. You get 15 minutes in the cage to play, pet and be photographed with the tigers. You can also enjoy a meal at the restaurant while you watch the tigers playing. Wat Phra That Doi Suthep is a great way for the kids to experience the local Thai culture. This Buddhist temple is located on the mountain side. Your kids will enjoy ringing the temple bells. There are 300 steps up to the temple or you can take the tram up. If you head there on Sunday around 6pm you may get to experience the monks chanting. There are great views of Chiang Mai. 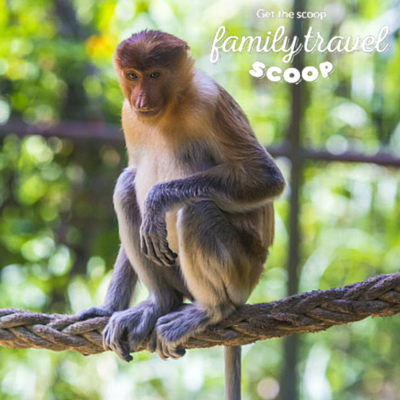 A visit to the Chiang Mai Zoo is another one of the fun things to do in Chiang Mai with kids. This zoo is home to koalas, pandas, a rhino, penguins and more. It also has a huge aquarium tunnel. Don't miss out on the cold dome where you can play in the imitation snow! 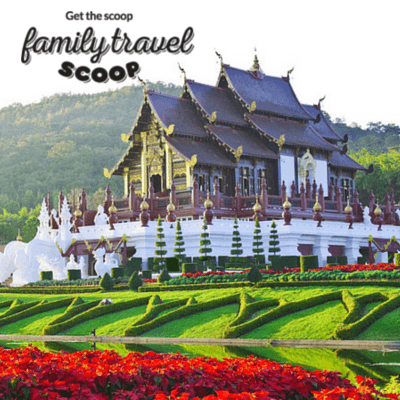 Your toddlers and young children will love this Chiang Mai attraction. Your kids will enjoy the Night Safari where they can see animals around the world in a replica habitat. It is lots of fun to see these wild animals when they are most active in the evenings. 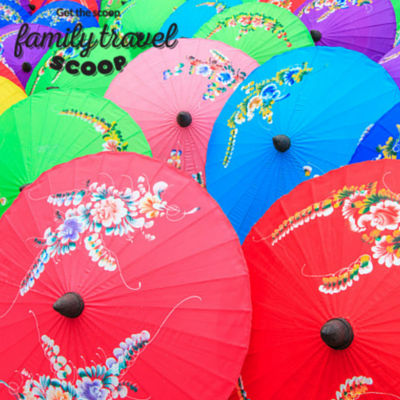 Read about more great Asian Family Holidays here!